If there's someone who can be credited for starting the boutique winery movement, that's Yair Margalit. This scientist-trained, turned-winemaker/wine-lover created his winery in 1989, well before the other independant small wineries which sprouted all over Israel in the early 2000s'. We must remember that until the mid to late 1980s', Israel's wine landscape was quite uninteresting, there was basically only mass bottlers like Carmel around and virtually no small player or independant wineries set up by passionate individuals like the ones that came later. Yair Margalit learned the trade in California and wrote his first winemaking book there in 1990, a book that is dubbed the bible of winemakers in Israel and helped many aspiring vintners to make the leap and start a winery. He has since published other books (bottom of the page) about winemaking, all with a scientific approach on the different stages of winemaking. Chemist and physical-chemist by profession, he worked in research in Israel and started his interest in winemaking while in California when he was at UC Davis, studying chemistry unrelated to winemaking. The enology school at UC Davis was right near the chemistry department, he adds with a laugh, so he sneaked inside and from the 1st lecture he had there he fell in love with this field. So he took in one single year the full enology course which is usually stretched over 4 years (because you can study everything you want there, in parallel to your initial field). When he eventually came back home in israel he began making wine with his son who was very young then, crushing grapes with the feet. Asaf Margalit in the Margalit Binyamina vineyards (Cabernet Franc) This start was a garage winery and they didn't sell the wine, giving it to friends and family. 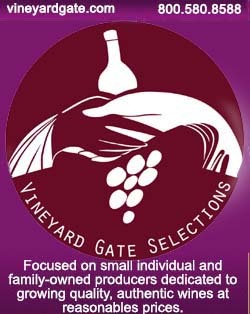 Purchasing the grapes at the time was very difficult, everything was locked by the big wineries in Israel, then in 1982. It was a desert for would-be small wineries or aspiring vintners, no winery-tools distributors, no tech support, no specialized media, nothing. Asaf was 14 years old in 1982 and his father says that he didn't know that he would find his career in the winemaking world. Yair Margalit says that it was only from 1989, with the great wines they made then that they decided to start a business. In-between, in 1985, he took some vacation and worked for Tishbi because the guy there was establishing a winery and there was nobody around in Israel to help him. This was also a challenge for Yair Margalit, because he had only made some wine for himself before and here was a real winery starting and needing his guiding as winemaker. It was actually a success, the winery produced 100 000 bottles in 1985. Looking back at the notes and precise data that he wrote like scientists do, he understands that he made many mistakes even though the wines turned to be good. So he thought that if he had to make it for a living one day, he should have a better mastering of the whole process, so he went back to California in 1986 to learn more and write a book on winemaking. It was published in 1990. That was he first book, the one that is dubbed the bible of small wineries and which have been read all over the world. He grins again saying that this first version was not that good but that he published thereafter two much more serious books about winemaking for universities that he is proud of, the last of them being published in 2004. These two last books are used all over the world by the Universities and enology schools. Margalit vineyards in the upper Galilee He kept contacts at UC Davis but most of the teachers he have retired since, only Bolton is still there. He used to work a lot with Singleton, an expert on phenolics who wrote very good books. In 1993, he quit his scientific activities to devote himself fully to his new winery in Israel. Asked about the research funding in UC Davis, Yair Margalit says that most of the funds come from the US Department of Agriculture or from the industry itself. He adds something interesting : the biggest investment in research for winemaking is not made in the university but at Gallo. He says that he has been there and more scientists work in the Gallo labs than at all of UC Davis wine school, but the people at Gallo keep the results of this research secret, nothing is published. With an output of 2 billions of bottles a year, they can fund on their own research department. __Margalit, Enigma 2006 Kadita [vineyard]. Red wine from Margalit's upper Galilee vineyard. A beautiful, full-bodied red wine made with Cabernet Sauvignon (60%), Merlot (17%) and Cabernet Franc (23%). The grapes come from the Kadita (upper Galilee) and Binyamina (central, lowland Israel) vineyards. Red fruits on the nose, not exposive. Very good balance in the mouth and not high alcohol feel. Says 14° on the label. Roundness and lots of pleasure to drink. Soft tannins, no asperity. 5000 bottles of this wine. Speaking of the Kadita vineyard, Yair Margalit says that it is not irrigated at all. This may sound normal but with the extreme summer temperatures here in Israel, this is extremely rare to meet a grape grower who doesn't irrigate (even if it usually involves a parcimonious drip system). Asaf says that the irrigation systems are barely 50 years old or so when grapes have been grown thousands years ago in the region without problem, so it's not impossible to do it. Growers see often higher yields as akin to more volume and more money but the quality of the wine is the result of lower yields. Speaking of the non-irrigation option, Yair adds that nobody's taking the risk, growers just prefer the drip-system shortcut. He says that for Margalit wines, the yield is about 40 hectoliters/hectare. The problem in Israel he says, is also that most wineries here don't own the vineyards and the vineyard management is done by someone else. Yair Margalit says that a drip system makes the root system, the onion-shaped root hairs concentrate at the surface, forcing the growers to keep the drip system for ever because on the surface in summer it's terribly dry and if you stop irrigating the vine won't make it through the summer. The other negative side effect is that the concentrated root hair being too concentrated on a small volume of earth, they deplete the available minerals and nutrients there, forcing the grower to add fertilization in the water. If you don't irrigate (except the 1st couple of years), the roots will go deep into the soil where the root hair will spread on a larger width, finding nutrients and some humidity. Asaf Margalit in the sun-drenched Binyamina vineyard This year, Yair and Asaf say, has been the worse year in terms of rainfall for the last decade, very small rain fell in winter (it never rains in summer and virtually not spring). Margalit vineyards have until now be strong enough with their deep roots to face the hot and dry Israeli summers, but with these low winter rainfalls recently, the outcome is less sure, but they will not irrigate anyway. When they planted their vineyard at Margalit, they irrigate 3 years and from year 4 to today, they didn't. And the 3rd year they actually didn't irrigate except until once in june when they saw that the vines were struggling and they decided to irrigate for 48 hours to pump-start it. Yair Margalit says at one point an interesting thing about winemaking, grapes and science : he thought initially that just by following some scientificly-proved processes you can make a good wine, which is the general thinking in the new world, but he realized that it's not the case. He changed in mind after visiting many wineries in Europe and in France (Burgundy, the Loire, Provence), tasting wines there along the way. He realized that good wines come from good grapes, and that's not just because people use to say that, but it's true: anything you may do thereafter doesn't alter the original quality of your grapes, you don't improve the juice during the vinification. If the grapes are not unique, you will not make good wines, and he, as a scientist, has made all the way from the other side of thinking to this awakening and he is now convinced of this. Of course, it's not enough to grow grapes the right way, you have to get a good terroir too to make good wine from these grapes. The rest, meaning for the winemaking, the key is just not to make mistakes. Once, he was in the Bordeaux region visiting Chateau Yquem with 4 or 5 people, one of them took the group a couple of kilometers from there in a small winery which was a shock for him : the guy was using a manual pump in the winery to have water, everything was a mess in this winery, even dirty, so much different from what he used to see in wineries. The guy there followed biodynamie which seemed weird, but when he opened a bottle, this was an awakaning, he never tasted such a beautiful Sauternes before. And the crazy thing is that when he asked for buying, he was selling 20-year-plus old bottles for something like 30 or 40 Euro, which was incredibly cheaper than a Chateau Yquem next door where the new vintage would cost some 150 Euro. In a blind taste, there's no doubt you would have chosen the Sauternes of the small messy winery... Yair Margalit pouring his wineAsaf says that what is important too is to be very critical of one's own winemaking and always ask oneself questions. The control in the vineyard in Margalit is made by the winemaker, and that's what good wineries do, even when they rely with independant growers. Yair Margait says that he wants to keep being a small-size winery; they produce up to 20 000 bottles now from something like 4 hectares spread on Binyamina and upper Galilee, they don't purchase grapes and don't intend to expand. They even sell 2o-25% of the grapes they grow. The small surface allow them to keep full control of the vineyard management and grapes. They can live with a small production, the wines being in the upper bracket in terms of price. The Margalit Enigma 2008 we are tasting for example cost 250 Shekel (45 Euro or 60 USD). __Margalit Cabernet Franc 2007. You want to taste Cabernet Franc, asks Yair Margalit, a bit of the Loire here. Single vineyard, from Binyamina. Bottled 4 months ago and released one month ago. 95% Cabernet Franc, 5% Cabernet Sauvignon. Nose : lots of aromatic concentration. Glycerol legs on the glass. Earthy notes, complexity, makes a superb mouth, especially the 2nd mouth. 4000 bottles of this wine. Speaking of yeasts, they use cultured yeasts, not wild yeasts because it is too risky. Yair Margalit says that they use two kinds of yeasts which work well. They use 1/3 new barrels, 1/3 one-year_old, 1/3 2-year-old. French oak, only from Seguin Moreau. Good barrels, each having still a different impact on wine. The cost od barrels in Israel are about 700 Euro. The oldest wine they have in the cellar is the 1989, and it is still very beautiful. The vinification at Margalit : they destem, use temp control, the juice fermenting in stainless-steel vats for 5 to 10 days with skim contact between 2 to 3 weeks. asaf says he tastes every day, they talk about how the wine goes and decide when it seems the right time to go forward. They don't press, by the way, they don't even have a press in the first place, they just use the free-run juice because the press stage gives more potassium, higher phs, more seedy flavors and they prefer the fruit side. They loose some juice but get a better one. after fermentation, one or two rackings, then to the barrels for a year, with topping every other week, tasting regularly from the casks (it's not a kosher winery here, they can go the casks when they want). They don't make the blend at the end of the elevage, they do it right after the fermentation. They're not religious, says Asaf with a smile, so let's leave these wines live together before the final wedding, the final blend when they correct and give some additional touches to the initial blend.... Asaf Margalit near the Binyamina vineyardWe drove later with Asaf Margalit to their Binyamina vineyard close by, with the 11-year-old Cabernet Franc, an 0,6 hectare plot. There's still the irrigation pipes system, but it has been disabled. He says that by not irrigating, the control of the growth and foliage of the vines is easier and they get a better balance in the grapes. Soil is Terra Rossa here, a soil similar to the one in Provence. When they said they would stop irigating at the beginning, other growers said they were crazy, that it would not to last, but it did, and a woman engineer from the Israeli Department of Agriculture who was coming every year to check the behaviour of the vineyard told them "I know you don't irrigate, but if you were irrigating I would tell you to stop irrigating", meaning the vines & foliage were in perfect shape. So the matter is, it is possible to grow grapes in Israel without a drip system, this was the way it was done in the Antiquity anyway. About fertilization, they rarely resort to it, and when they do, it's not through a drip system but by hand. They would like to build the winery along this Cabernet-Franc as they own additionnal land here but the government doestn't allow it because it's agricultural land. Speaking of the harvest, it is made by hand in baskets, starting at 5am or 6am. Asaf says that some winter tasks like pruning mus be done faster than in Europe because the weather is changing faster in Israel, the vines react fast and if a particular plot is done in a long time span, it will result in different maturity times later in the season. I recently attended a Wine Tasting Event in Houston, Texas, featuring several Israeli wines. The Margalit Cab Reserve won a blind tasting competition with two California Cabs and another Israeli Cab from the Flam Winery. Margalit was first, and Flam a close second, with the California wines a distant third and fourth. This event had over 150 people present, and the Wine Bar hosting the event, The Tasting Room, one of he largest and most successful wine bars in the US, had their sommelier select the two competing cabs...Stag's Leap Reserve 2005 and Rubicon Cask 2005.